Hi, there! I write articles to dive into my own thoughts. Sometimes we drown into others' thoughts till we never realize that we have our own to dive in. Stay alive! The Gilis, North Lombok is world-widely known for its stunning beaches and aquatic world. There's nothing to say but what a majestic spot. Now we're moving a bit far to the southwest of Lombok. The southwest side is the entrance. You’ll find Lembar port which is the gate in and out of the ships sail from Bali to Lombok and vice versa. The port was officially operated in the ‘70s which were located in Ampenan at first. Lembar port has been the door of Lombok for several years. People come and go through this busy port every day. Gili Nanggu, Sekotong, West Lombok. Lembar port located about 30 minutes to Sekotong. Reaching to the Sekotong can be accessed through two routes. You can drive through hills via Jalan Raya Sekotong and down hills via Jalan Bawah. Gitanada in Sekotong, West Lombok. Sekotong is just another paradise in southwest side. There are many small islands, known as Gili, spread across the beach. Gitanada is well known for its charming and silent panorama. 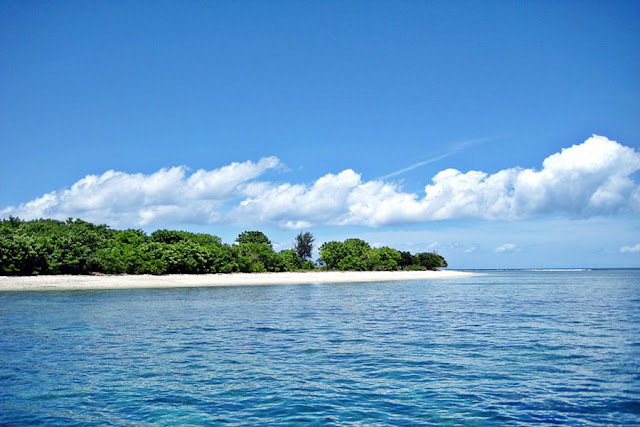 Gitanada is abbreviated from three gilis, they are Gili Tangkong, Gili Nanggu, and Gili Sudak. These quiet and beautiful gilis offer you something else. I said so because it is only in these islands you can have your private holiday. Yes! A private holiday where you can enjoy the panorama by yourself with no distractions. It allows you to enjoy the beauty of the beach, the charming and clear water, and even swimming with various marine species all alone. Let’s take a look at each gili! 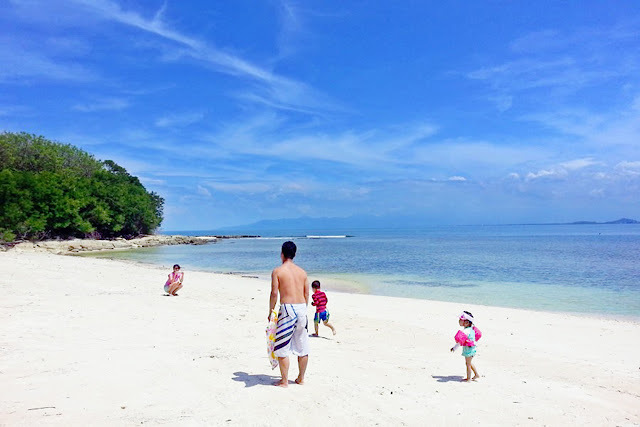 Gili Tangkong is undeniable as the piece of lost paradise. It stands on the turquoise sea with the sparkling white sandy beach. The clear water allows you to see the marine life. Gili Tangkong is a little tiny small island which has no people live in there. It is very quiet yet you will be shocked by the look of it from the air. Located just about 15 minutes by slow boat. You can have swimming on its eyes-through water, snorkeling with the fish and dive (as far as I know, there’s no dive center). Snorkeling is the best thing you can do here. The crystal clear water will take you to the experience of living in the aquatic world. Corals and reefs are kept in natural. You can enjoy it. Gili Nanggu, while this one is a favorite. You’ll find a local restaurant and have your meal here. The panorama found is stunning. The sunrise and the sunset are bonuses. It is also known for its corals and reefs. One fine spot to have the best snorkeling experience. Many beach activities you can do such as snorkeling—one of the favorite, swimming, diving, kayaking, and canoeing. Just pick one of your best. Most visitors, usually locals, do camping in Gili Nanggu. Its silence and quiet sensation will give such a memorable experience. At night you can see the clear sight of the sky with millions of sparkling star. The sound of the endless waves and breeze will give an experience of being lost in paradise. Truly beautiful. Gili Sudak, it’s another favorite place to have lunch. A local restaurant and some stalls are available. 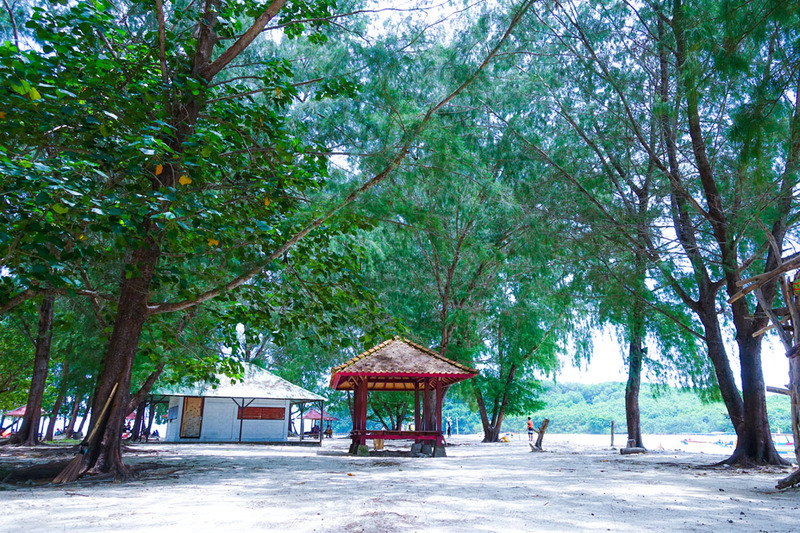 When you’re traveling to these three gilis, it is recommended to have lunch here. The beauty of this gili is also well known for its panorama of the green hills across the sea. You can witness the beauty of Sekotong from Gili Sudak. Swimming, snorkeling, and diving are must do things. Its aquatic world is undoubted as the beauty as the other gilis (Gili Tangkong and Gili Sudak). You can have it in one package of one day trip to these beautiful islands. Tawun port is the main gate to reach all gilis in Sekotong. It costs around IDR 350k for a round-trip with a speedboat. If you’re coming from a different location like Mataram and Senggigi, it takes you about one and half hours to get there. Just check it out on Google Maps. What Can We Learn from Lombok Earthquake? Copyright 2017, Lombok Vibes. All rights Reserved.